Rochelle Alers is the author of the Hideaway series. 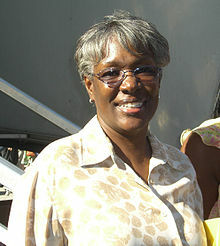 Ms. Alers is a nationally recognized Bestselling Author; her first published book, Careless Whispers was release in 1988. Since then she has written seven book series, the first of which is Hideaway. The Hideaway series was started with the book titled Hideaway, is the story of Martin and Parris. When Martin first laid eyes on Parris at their best friends’ wedding rehearsal it was love at first sight. Although Parris was certainly intrigued, because of her failed marriage, she halted all of Martin’s advances. Not use to taking no for an answer or losing, Martin followed Parris only to rescue her from her deranged ex-husband. The dirty family secret was also first introduced in this book and later explained in the Best Keep Secrets Novel, which is the story of Samuel and Marguerite-Josefina (MJ), the parents of Martin. As aforementioned, Best Kept Secrets is the prequel; the story about Samuel and MJ. This story not only reveals the details of the dirty family secret but it also ties together the reason behind the Cole family dynamics. In Best Kept Secrets, fans will enjoy reading about the young and determined Sammy and free-spirited MJ. Posted on May 17, 2011, in Books, Favorites. Bookmark the permalink. Leave a comment.